After receiving so many great reviews about our crab cakes included in our packages we decided to offer them as an appetizer! Loaded with Lump crab meat and bursting with Flavor! There are two 4 oz. crab cakes per order. Our Crab Cakes make a great add on to any of our Live Maine Lobsters or Lobster Dinners! Chock full of sweet crab meat these 4 oz. crab cakes are available to you in packages of two. 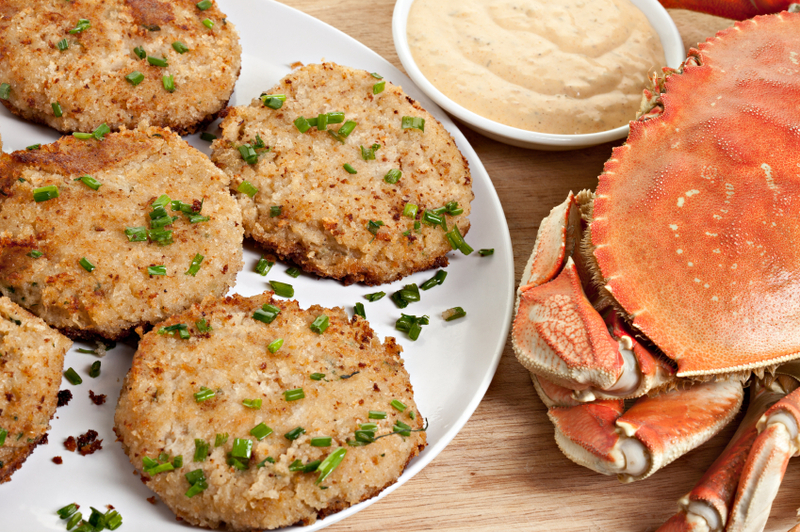 Order Your Crab Cakes By 10am EST, And Enjoy It For Dinner Tomorrow! Our Appetizers Also Make A Great Gift Idea For Your Favorite Seafood Lover! How Easy Is That! Full of flavor and crab meat. We will order again. They were very good, as was everything else we ordered. The Chowder was our favorite! We ordered chowder and lobsters and crab cakes. Everything was very good and the prices were a lot better than the other sites on google. Will order again.